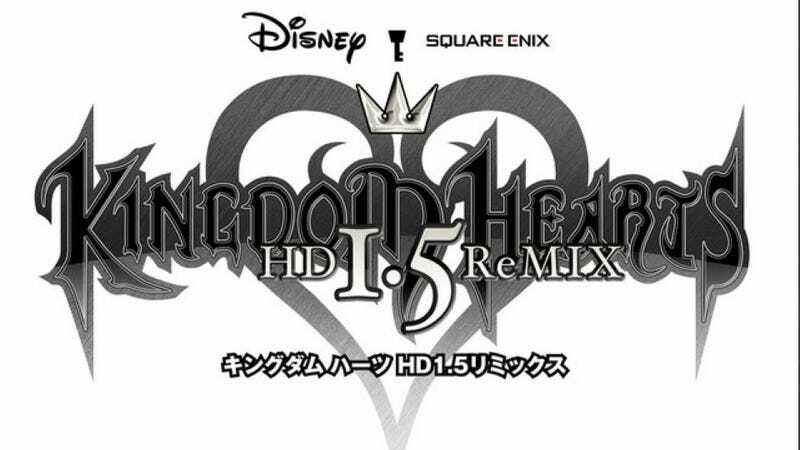 In the upcoming issue of Famitsu, Square Enix's Tetsuya Nomura apparently talked up the forthcoming HD Kingdom Hearts collection, Kingdom Hearts: HD 1.5 ReMIX. There are some interesting details. According to Nomura, Square Enix decided to do the HD version of Kingdom Hearts prior to the HD version of Final Fantasy X (which seems to be AWOL at the moment). As previously mentioned, this collection includes HD versions of Kingdom Hearts and Kingdom Hearts Re: Chain of Memories, along with HD event scenes from Kingdom Hearts 358/2. For those who are wondering, that's around 2 to 3 hours of full HD event scenes for KH 358/2. The remix doesn't have any secret rooms, and there aren't any huge additions to the games, other than HD and Trophy support. Two programmers on the company's Osaka team worked for a year on the HD version; they are now at the final stages. Thank these two individuals. Thank you, two individuals!